How can I collect freight containers? I bought a fuel scoop. If I then fly to a container, there are two options. Either the container shatters on my shell or the container flies forever before me. Very close to my bow. It would be right that I fly over the container and it is shoveled into the cargo hold. Re: How can I collect freight containers? Yes. It can take some practice to get right (and make sure you have space in your hold). If it's stuck to your bow, come to a halt. I'm flying a Cobra III and have bought to the ten goods and thrown off in space. Even after over an hour no success. Is there anything special to consider? I tried it at high and low speed. Always with the result that shatters the container or drives forever before me. You can see the container in the lower part and it is already being pulled. This shot is taken just before the scoop message came up. I know that I am new and it is safe because of my stupidity. Just as another_commander explained it, I tried it many times. I would like to show some pictures, but I have not figured out how to do screenshoots. 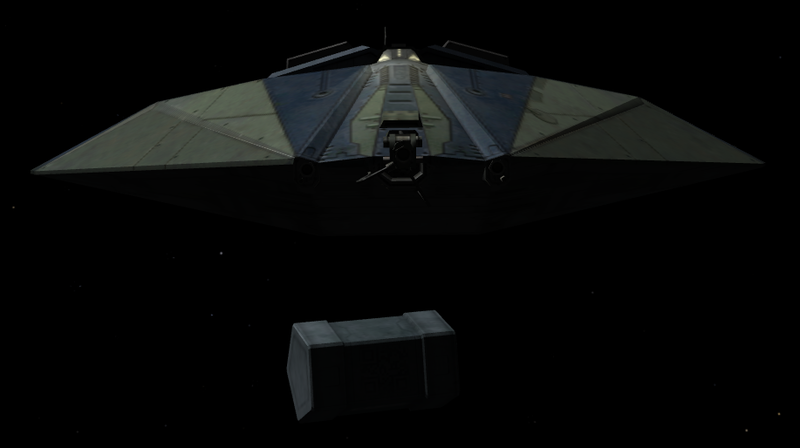 However, I read in the forum that there were problems with the cargo scoop on different versions of Oolite. I once installed version 1.76.1 and it worked on the first try. Can it be related to the fact that I want to collect a just used container again? Shift+8 (*) takes screenshots. Then you'd need to host them somewhere (postimage, imgur - there are others) and link to them. Cargo scooping works just fine in 1.86 and it is not related to containers being re-used. Try getting a screenshot just before the container crashes on your ship. Alternatively, try it in Strict mode (where OXPs get disabled). 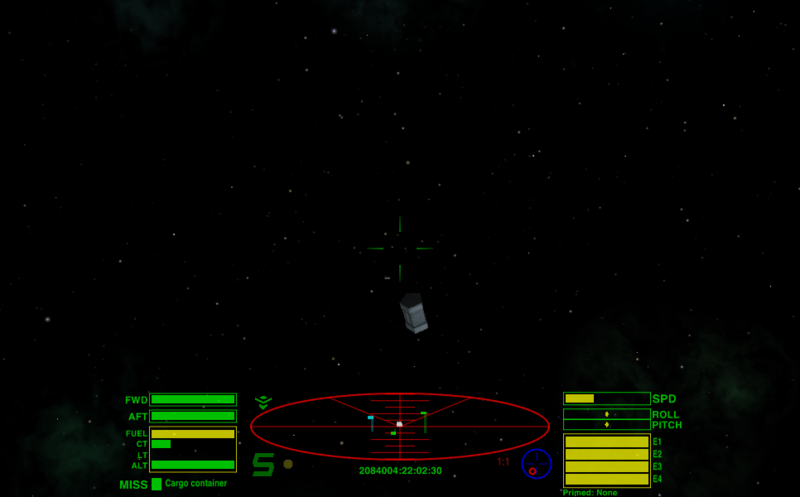 You can view your ship from the space while using your scoop, just press "v", then caps lock and you will control the camera position with arrow keys and zoom with pageup/pagedown. Approach the pod slowly while look your ship from the side, then you will see when the scoop kick in and the barrel start moving to your ship. 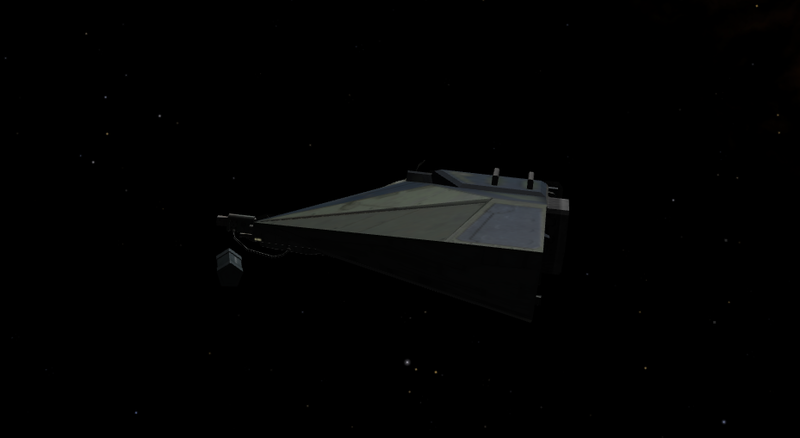 When the pod hit the front bottom half of your ship then it will be scooped, like in the next shot. It is probably due to an OXP file. At the only one I have installed. Namely the OXP for the German language. If I remove those from the folder for OXP it works with the container to collect. As soon as I paste them back into the folder for OXP it's over to collect the container. Since I will probably have to do without in German and improve my English.